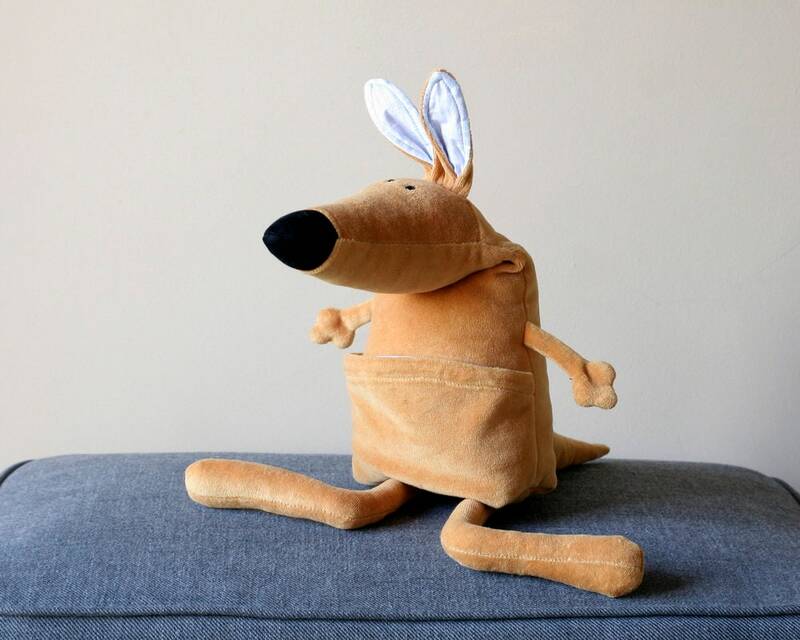 My little plush Ponca Kangaroo is made of mustard plush. 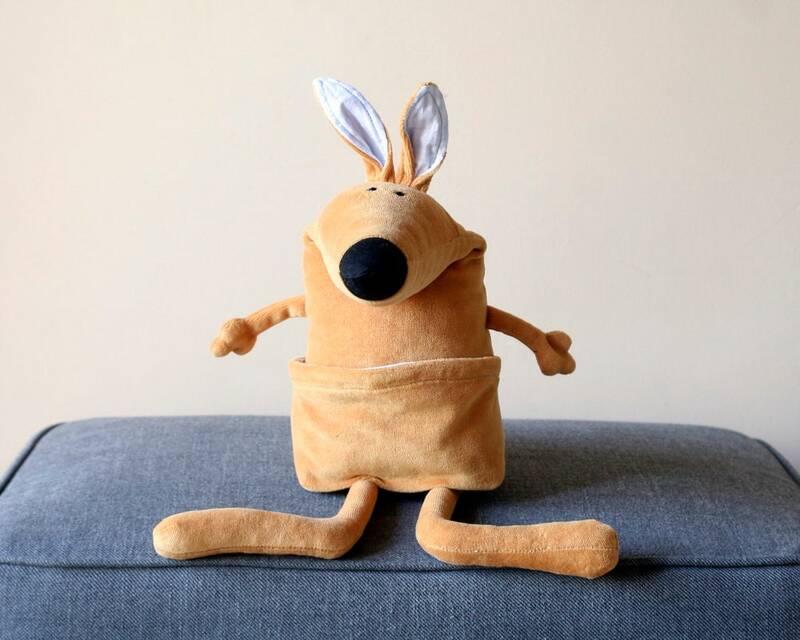 His inner ears and border of the pouch is made of blue or pink canvas. Regardless of your associations, you've probably wondered what distinguishes one animal from the other. After all, they look so much alike. They're both marsupials, meaning mothers carry their young around in built-in pouches. And scientists have even grouped them into the same order, family and subfamily. 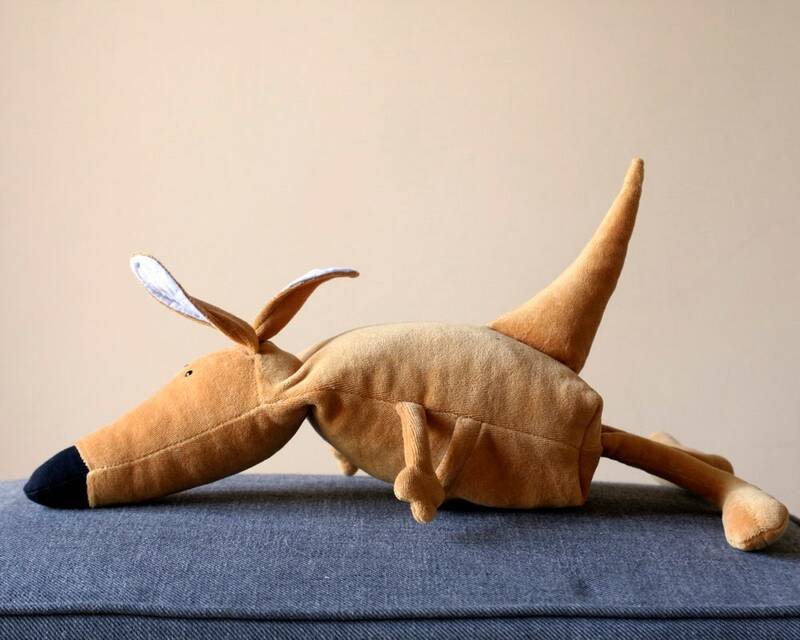 The most obvious difference between the wallaby and the kangaroo is size. 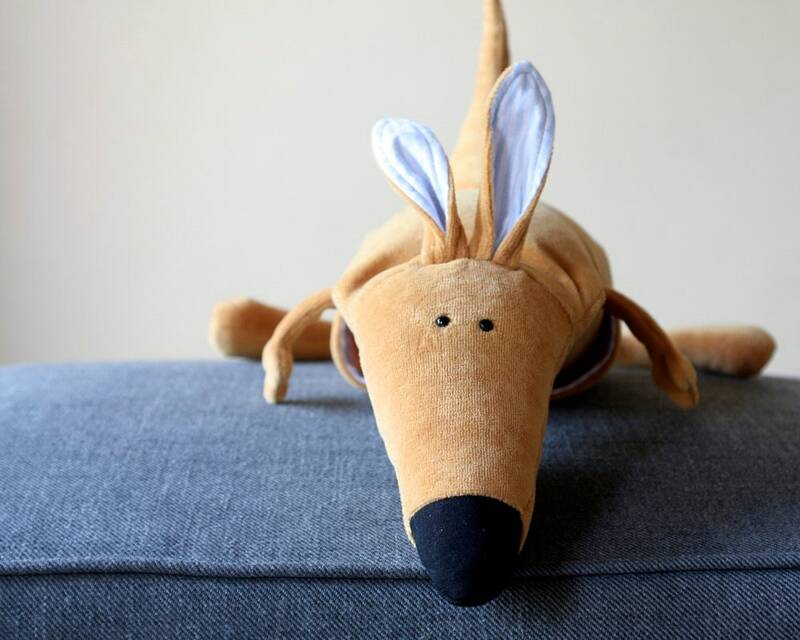 As a rule, the kangaroo is generally much larger than the wallaby. 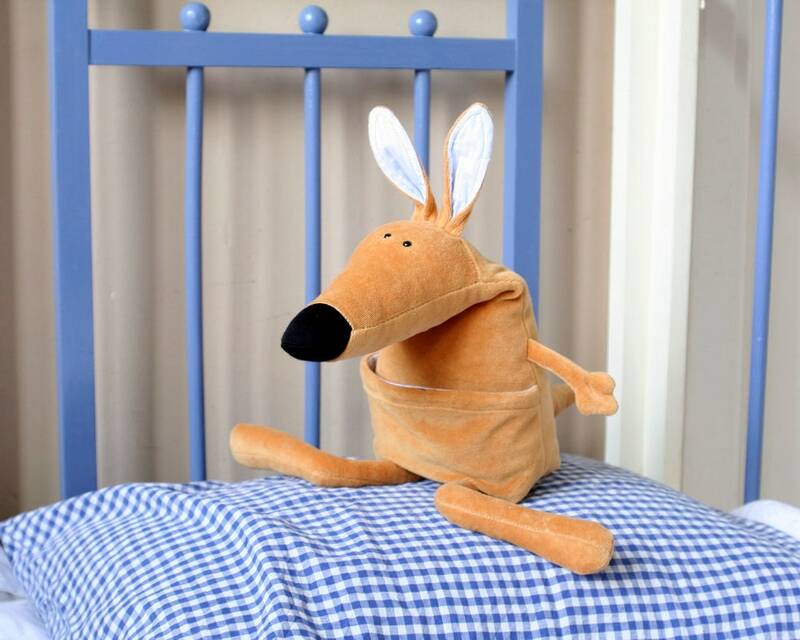 The kangaroo has more height between its ankles and knees, which makes its legs seem out of proportion to its body. 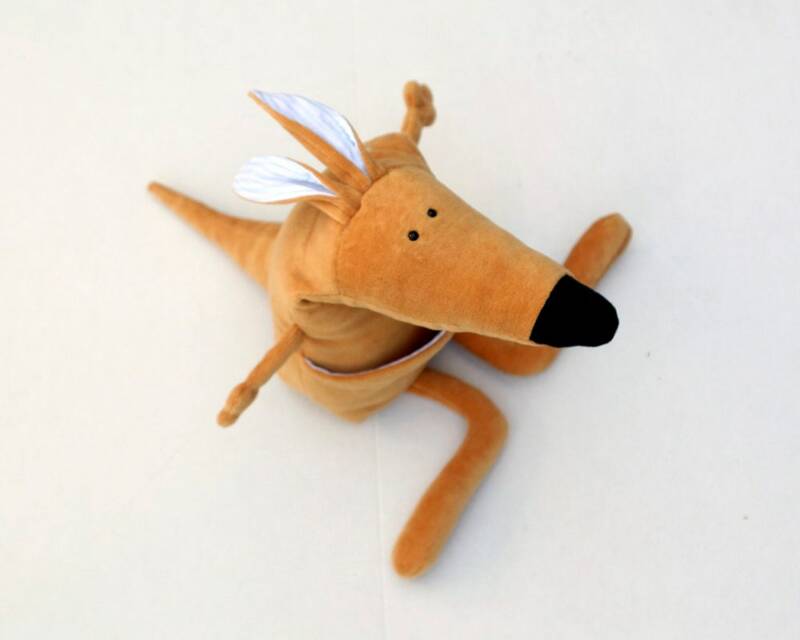 The kangaroo's legs are built for speed on open terrain. 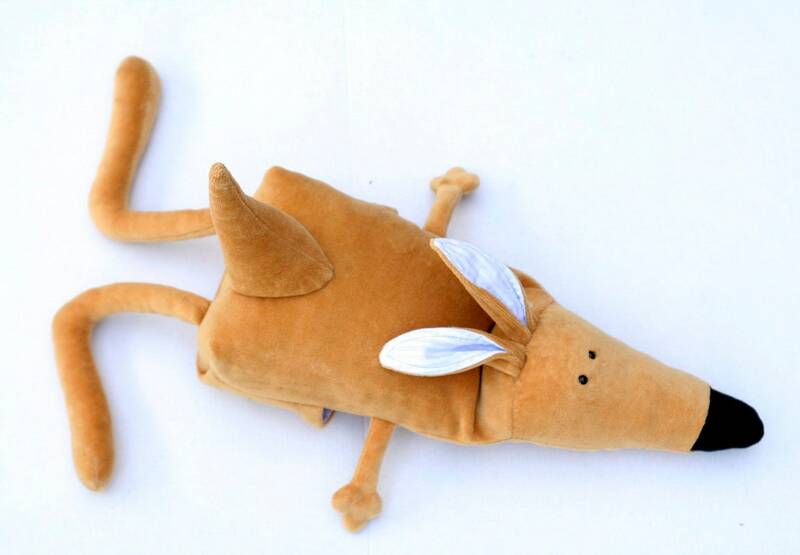 The wallaby's more compact legs are built for agility in forested areas. 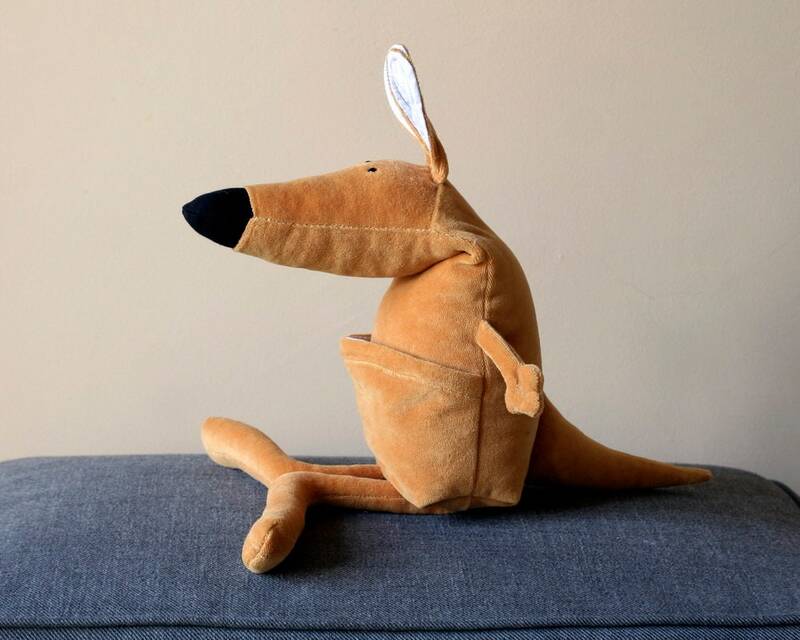 Although there are many different species of both wallabies and kangaroos that span a wide range of sizes, wallabies only tend to weigh between four pounds and 53 pounds (2 kg to 24 kg) and grow a mere 12 inches to 24 inches (30 cm to 104 cm) tall, not including their tails. Kangaroos, on the other hand, can grow to heights of 8 feet (2.1 meters) and weigh as much as 200 pounds (91 kg). We are totally, deeply in live with this lovely little creature! Thanks for it! So adorable! Makes me smile every time I look at it😄. Top quality!! Super beautiful and great quality!